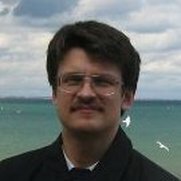 Evgeny has been doing research and development in Scheduling and Combinatorial Optimization since 2000. His projects involved collaboration with ILOG (France) and Bausch & Lomb (Ireland). Since 2005 to date, he has held a position Scheduling / Optimization Expert in Advanced Technology Team of Trimble Field Service Management. Prior to joining Trimble FSM, Evgeny did research on scheduling and optimization for Glasgow University and University College Cork as well as on mechanics of solids for Keldysh Institute of Applied Mathematics, Russian Academy of Sciences. He also worked as an analyst and technical author in information security (Jet Infosystems, Moscow). He has served as a reviewer of various conferences in AI. Currently, he is a member of the Editorial Board of Applied Intelligence Journal (The International Journal of Artificial Intelligence, Neural Networks, and Complex Problem-Solving Technologies, Springer Journal no. Evgeny holds a PhD degree from Moscow State University (1999) for research in robot motion simulation and control. Evgeny also serves in Cambridge, UK as a Russian Orthodox priest, Patriarchate of Moscow. Businesses today face increasing challenges in trying to efficiently use available resources in order to maximize return on investment and minimize environmental impact. In the field scheduling and mobile resource allocation market, there are plenty of sophisticated scheduling products available. However, to start using these products business users have to feed them with such key characteristics of their mobile workforce as service locations where technicians can operate as well as their expertise (skills) in performing particular jobs such as equipment repair, testing, installation and maintenance. While an initial configuration of the field scheduling product is time-consuming, the real-world challenge is to maintain and adjust this information on a daily basis. So, to use these products efficiently, it is critical to automate these processes and to teach the scheduling system how to learn this information based on the actual field service assignments. In this presentation we describe a rules-based mobile resource learner that addresses these problems in conjunction with a highly popular field scheduling tool. The learner enables the system to learn and adjust information about multi-level technical skills and geographic areas of the customer field service workforce. It allows a new customer to start using the scheduler with zero-configuration by just analyzing an actual history of technician work assignments. The learner uses a relatively small set of easily configurable rules that encode how workforce skills and locations are learned dynamically. The learned information is then fed into the scheduler/optimizer tool to improve schedule quality. The usage of the learner is demonstrated on a few simple examples.